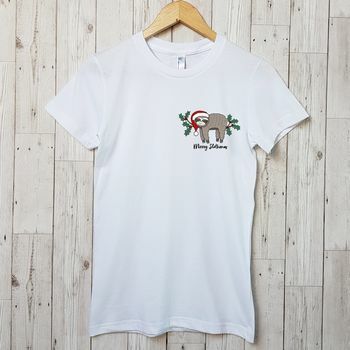 The perfect t-shirt for slothing around in this Christmas! 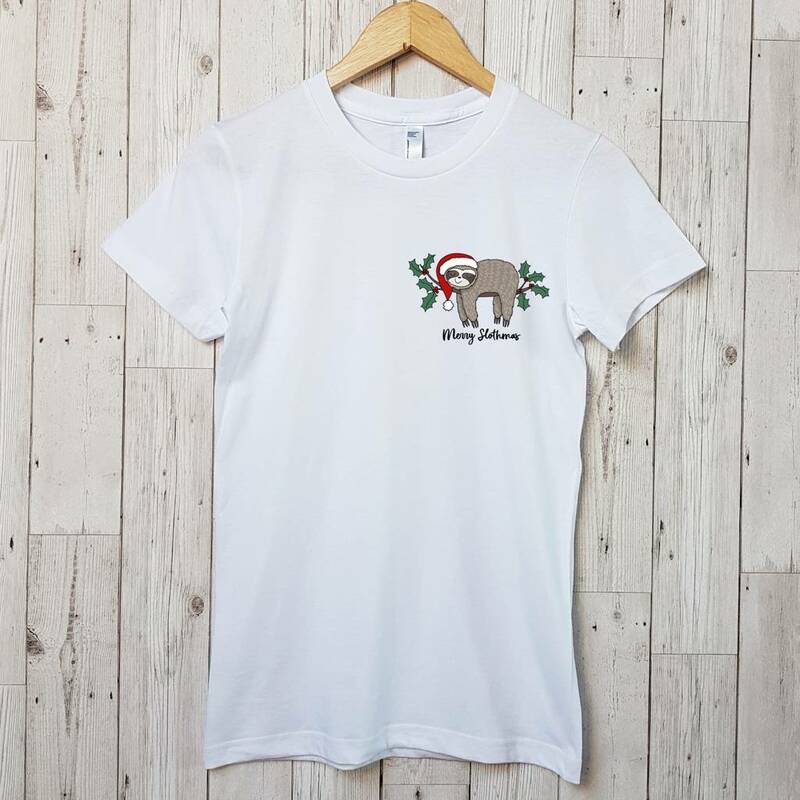 Get into the Christmas spirit whilst still hitting the fashion stakes in this cool fashion T Shirt, which features our very own Sloth illustration. They are a fantastic outfit choice for work and Christmas events. The T Shirt is available in a range sizes for women, children and men so you can all be matchy matchy! It's a great piece to wear in the lead up to Christmas to get you in the Christmas spirit. It makes a cool alternative to the Christmas Jumper. Or alternatively check out this design on sweatshirts! The ladies T-Shirt has a semi fitted shape. Wash at 30 do not iron the print. Please get in touch if you would like advice about sizes.